With imminent launches in the U.S. and Canada, and strong sales worldwide, there's certainly a fair bit of traction behind the Samsung Galaxy Note. Now the Note looks set to extend its reach into Australia, with today's news that Vodafone Australia will be carrying the device at some point in the future. The Galaxy Note combines one of the largest screens ever seen on a smartphone -- a 5.3-inch HD SuperAMOLED display -- with WACOM-based, pressure-sensitive stylus input. 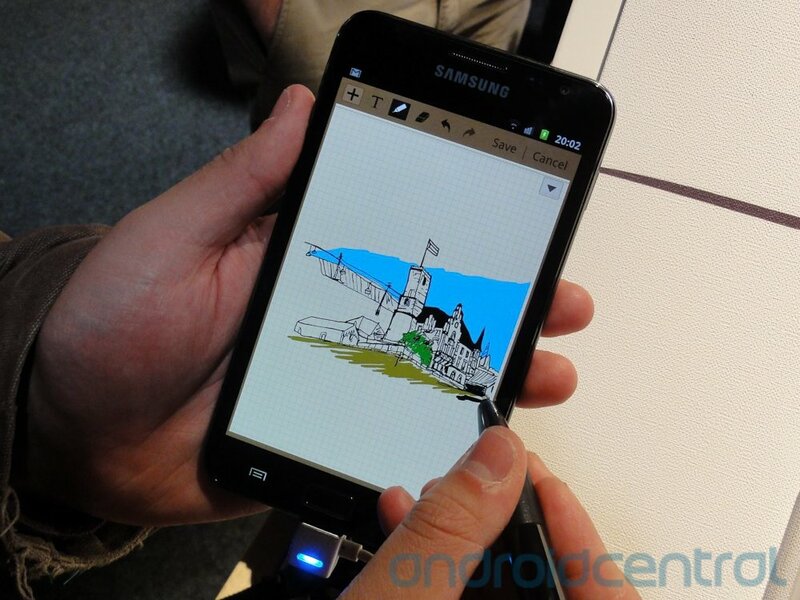 Samsung's S Pen, as it's called, allows detailed notes or doodles to be taken on the screen, and the UI and apps can also be navigated using the pen instead of your finger. We reviewed the international HSPA+ Galaxy Note last year, and spent some time with the North American LTE version at last month's CES in Las Vegas. The Galaxy Note is also rumored to be coming to rival Aussie carrier Telstra, though so far there's been no official announcement.